For many NFL fans, the Pro Bowl has always just been a filler, meant to get fans from the conference championships to the Super Bowl. This Sunday’s All-Star game will return to the NFC vs. AFC format, which has not been used since the 2012 season, and will feature some dynamic young stars in a battle for bragging rights that will take place from Caping World Stadium in Orlando, Florida. 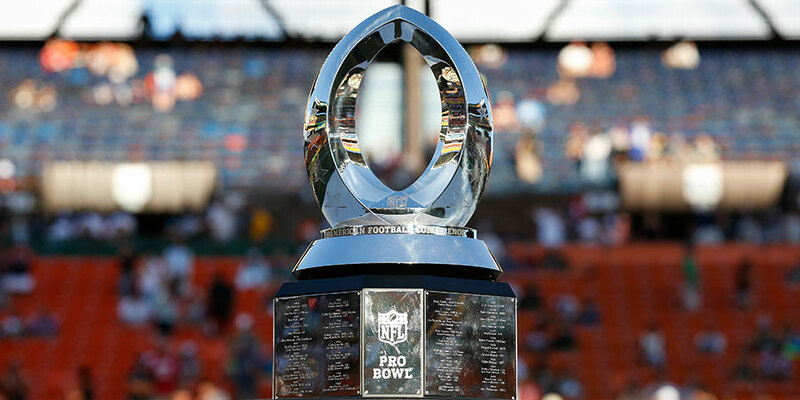 This year’s contest will mark the third time since 1979 that the Pro Bowl won’t be held in Hawaii, a move that may have upset some players but thrilled others due to the decrease in travel time. The game is trying to make up for the ground lost by last year’s edition, which saw little to no marquee name participation and the lowest ratings ever for the event (5.0). This year, the NFL has done all they can to ensure that they do not have another disaster of a showcase by adding big names and big pre-game events. The NFL will present fans with a Pro Bowl Skills Showdown for the first time since 2007. The event, which was taped on Wednesday, will air tonight at 7 p.m. on ESPN. A dodge ball game, “power relay challenge,” a precision passing competition and a best hands showdown are among the competitions that players from both conferences will compete against each other in. On Tuesday, NFL PR specialist Brian McCarthy tweeted that the Skills Showdown will have an event called the “WR Drone Drop.” Sounds pretty cool, right? But just what is it? According to the promo video that accompanied the tweet, the FAA-approved drone will fly into the sky and drop football into the hands of Pro Bowl receivers below, a true test to see who has the best hands. The dodgeball game will see Cowboys’ rookies RB Ezekiel Elliott and QB Dak Prescott, Giants WR Odell Beckham Jr., Cardinals CB Patrick Peterson, Panthers LB Thomas Davis, and Tampa Bay Buccaneers DT Gerald McCoy line up against LB Von Miller and CB Chris Harris of the Denver Broncos, Indianapolis Colts WR T.Y. Hilton, Kansas Chiefs QB Alex Smith, Cincinnati Bengals DT Geno Atkins, and Cleveland Browns OT Joe Thomas of the AFC. The “Drone Drop” event should create some exciting moments for players and fans and should fit in nicely with the other scheduled events. The NFL front office is hoping that the introductikon of this technology, a return to the traditional format and some top-tier talent will make this yeat’s celebration one to remember.